Those looking forward to a hike in the Sand Canyon and Rock Creek trails west of Cortez now find their adventure beginning sooner than expected as they pull off County Road G to the parking area. The weathered and uneven slickrock encourages no parking order. Drivers have to balance proximity, footing, a guess as to where following vehicles may park and the eventual need to back out before they enjoy the landscape. Maneuvering a horse trailer and a bus in the parking area, if there are any passenger vehicles, is almost impossible. The vehicle overflow, usually on weekends in the spring and fall, stretches out in either direction along County Road G. That is illegal: G is narrow, two lanes, 40 mph with some line-of-sight challenges. Trail users in the West are generally hardy and can improvise, but for a degree of organization that would increase capacity, and safety, improvements to the parking are needed. Almost a year of planning by the Tres Rios Office of the Bureau of Land Management has gone into how and where beneficial changes can be made, with clear results. Adding an additional 175 feet to the parking area to the east, and applying a rock base and gravel, would expand the more organized parking area to serve 40 cars and two oversize vehicles, either trucks with a trailer or buses. The area would be bounded with a border and striped. In its scoping documents, the BLM states there have been no firm vehicle counts, but estimates are that 30 cars on average and 50 at peak times are at the trailhead. That is an easy beginning. Then, as the BLM’s scoping process with a preliminary environmental assessment has determined, trailers and buses could make good use of a new parking area a short distance to the east on County Road G on land which the BLM acquired in 2010. That location would serve nine passenger vehicles and better allow oversize vehicles to maneuver. That additional location would require a new one-half–mile trail to connect to the existing Sand Canyon trailhead, along which hikers and horses would be in close proximity, a slight challenge. In the BLM’s scoping, one standard alternative is to do nothing; that should not be the choice. And the most expansive option is to partner with Montezuma County to create a larger parking area farther to the east on county property, which, because of the distance, would require a second trail entrance into the monument. 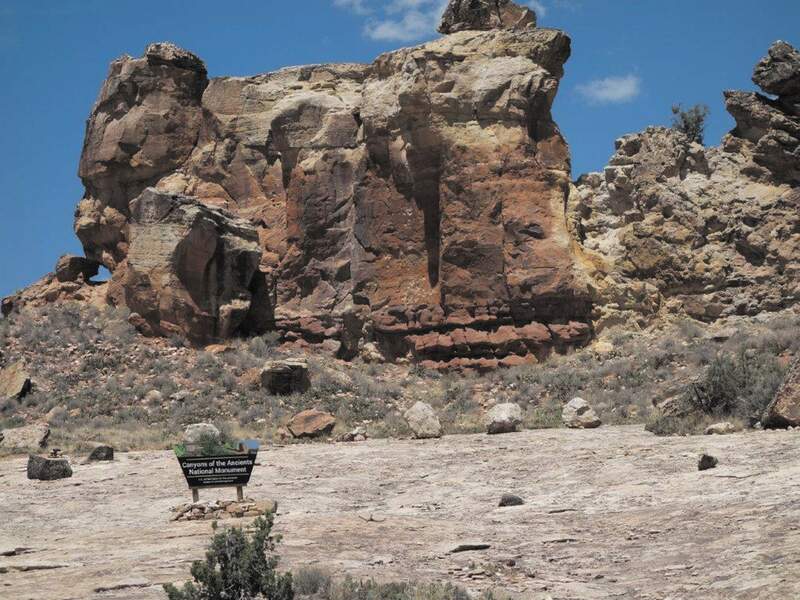 The south entrance to Sand Canyon and the interior East Rock Creek Trail, about 16 miles west of Cortez, brings hikers, bike riders and horsemen into easy proximity with beautiful terrain and fascinating examples of ancient ruins. The area can be enjoyed at a slow family-friendly pace, or more briskly, offering an easy window into an outstanding example of what makes Southwest Colorado such an appealing place to live and visit. With the addition of these parking improvements, the experience will be even more enjoyable and complete.